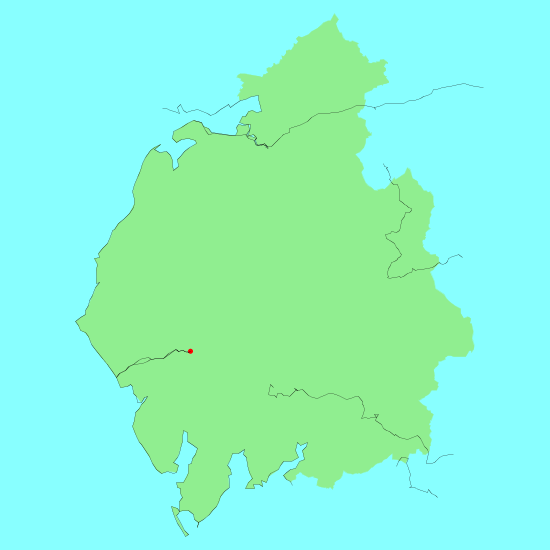 Cumbria is a large county in the northwest of England, immediately to the south of the Scottish border. It fully encompasses the Lake District, and the beauty of the county cannot be exaggerated. However, beauty exists in Cumbria outside the boundaries of the Lake District National Park; the coastline is spectacular, and the areas to the east of the M6 are scenically beautiful and much-less visited than the tourist honeypots of Kendal and Windermere. As can be expected, many trails pass through Cumbria. The Pennine Way, Dales Way and Hadrian's Wall paths all enter the county (although of these, only the Dales Way enters the national park). The Coast-to-coast walk also starts within the county on its way to greet the North Sea. There are also more local trails, such as the Cumbria Way and the Allerdale Ramble. And, of course, walking in Cumbria is synonymous with Alfred Wainwright, whose guidebooks with their elegant hand-drawn maps have guided generations of people onto the Cumbrian fells. Below is a map showing all the walks that I have completed in Cumbria. This was a total of 447.7 miles in 25 walks (an average of 17.9 miles per walk).